The Zombie is the foundation on which the mighty temple of Tiki stands. Yet much of its history is shrouded in mystery. We know it was first poured by the legendary Don the Beachcomber in 1934. But what exactly was Don pouring? And how close to or wide of the mark were his many, many imitators? Wonder no longer, because David J. Montgomery (in his guise as Professor Cocktail) is here to serve as your personal Indiana Jones and unearth Tiki’s greatest treasure. In an exhaustive yet entertaining work of scholarship, Montgomery scours available sources to compile every Zombie known to man, living, dead and undead. Montgomery starts with the master, featuring not one but several recipes attributed to Don the Beachcomber including the one recognized as the original. He surveys variations from Trader Vic’s, other joints famed and forgotten, and renowned bartenders of history. Montgomery offers savvy, honest criticism of each, like advice about which ones to avoid and spirit suggestions. Want whiskey and rum versions? They're here, too. 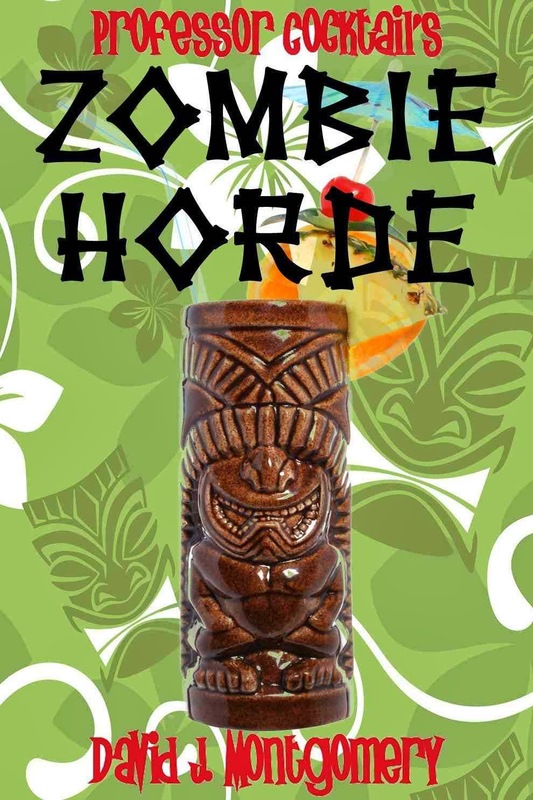 Professor Cocktail’s Zombie Horde also boasts several never-before-published riffs on the classic from noted contemporary mixologists like Jim Meehan of New York’s PDT. Written with senses of both history and humor, Professor Cocktail’s Zombie Horde finally gives one of the greatest and most misunderstood of mixed drinks the treatment it deserves. Once you're done reading, a bottle of rum won't be enough. You'll require several. Buy it now at Amazon.